Rachid Taha (Arabic : رشيد طه‎Rashīd Ṭaha; 18 September 1958 – 12 September 2018) was an Algerian singer and activist   based in France  described as "sonically adventurous". His music was influenced by many different styles including rock, electronic, punk and raï. Sig is a town in northwestern Algeria. Formerly located in Oran Province and now located in Mascara Province, north-western Algeria. Its population was 61,373 in 2008. 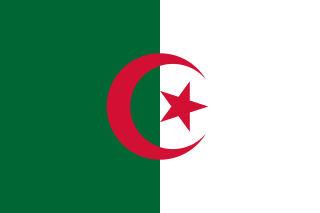 Mascara is a province (wilaya) in Algeria. It was named after its capital, whose name means "military garrison" in Arabic, and which is unrelated to "mascara", the cosmetic. Another important locality is the town of Sig. A mashup is a creative work, usually in a form of a song, created by blending two or more pre-recorded songs, usually by overlaying the vocal track of one song seamlessly over the instrumental track of another. To the extent that such works are "transformative" of original content, in the United States they may find protection from copyright claims under the "fair use" doctrine of copyright law. Taha grew up in the seaside Algerian city of Oran. Nass El Ghiwane are a musical group established in 1971 in Casablanca, Morocco. The group, which originated in avant-garde political theater, has played an influential role in Moroccan chaabi. Nass El Ghiwane were the first band to introduce Western instruments like the modern banjo. Their music incorporates a trance aesthetic, reflecting the influence of local Gnawa music. Their music is inspired by ancient North African Sufi poetry, most prominently that of Abderrahman El Majdoub, whose work was a direct inspiration to the band. 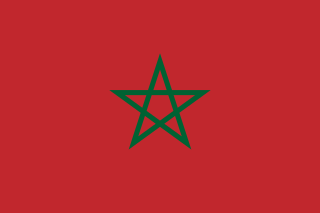 They are also credited for helping bring a new social movement to Morocco. When performing live, Taha wore various outfits, including at one point a leather fedora hat, then later a red cowboy hat. The band's second and last LP entitled Ramsa (Five) was released in 1986. 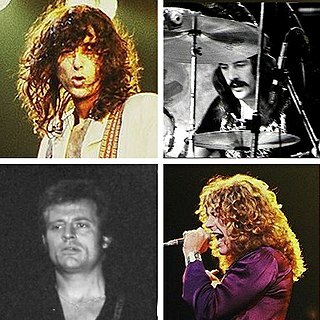 The band dissolved in 1989. 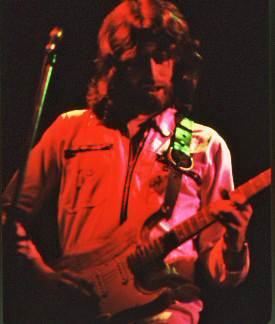 Guitarist Steve Hillage played a big role in Taha's career, primarily as a producer. In 2009, Taha released Bonjour which The Guardian music critic Robin Denselow described as "calmed down" under a new producer, Gaëtan Roussel. Denselow wrote: "The result is an unlikely set in which Taha appears to be deliberately courting a new, wider market by playing down that wild rebel image." Denselow felt the music was more "commercial" and "not his most exciting." It included a "rousing tribute" on his cover song Rock El Casbah to the late Clash guitarist Joe Strummer. In 2010, Taha played in Toronto, Canada to large audiences. Taha performed with Algerian artist Mehdi Haddab who plays the oud. Taha's song "Habina" was featured in the 2010 film, It's Kind of a Funny Story . Guitarist Carlos Santana recorded his song Migra which went on to sell over 25 million copies. In recent years, Taha toured nations including the United States  and Dubai. Raï, sometimes written rai, is a form of Algerian folk music that dates back to the 1920s. Singers of Raï are called cheb as opposed to sheikh, the name given to Chaabi singers. The tradition arose in the city of Oran, primarily among the poor. Traditionally sung by men, by the end of the 20th century, female singers had become common. The lyrics of Raï have concerned social issues such as disease and the policing of European colonies that affected native populations. Algerian music is virtually synonymous with Raï among foreigners; the musical genre has achieved great popularity in France, Spain and other parts of Europe. For several centuries, Algerian music was dominated by styles inherited from Al-Andalus, eventually forming a unique North African twist on these poetic forms. Algerian music came to include suites called nuubaat. Later derivatives include rabaab and hawzii. Faudel Belloua is a French-Algerian raï singer and actor. He has released a number of successful studio albums, notably Baïda, Samra, Un Autre Soleil and Mundial Corrida and a very famous live 1998 album 1,2,3 Soleils jointly with Khaled and Rachid Taha. "Rock the Casbah" is a song by the English punk rock band The Clash, released in 1982. The song was released as the third single from their fifth album, Combat Rock. It reached number eight on the Billboard Hot 100 chart in the US and, along with the track "Mustapha Dance", it also reached number eight on the dance chart. Diwân is a studio album released in 1998 by Franco-Algerian raï artist Rachid Taha. In contrast to his earlier releases, Diwân contains less rock and punk music, and features more traditional Arabic instruments. Many of the songs are about the founding fathers of raï music, and the lyrics are in Arabic and French. Rachid Taha Live is a live album from French-Algerian raï artist Rachid Taha, released in 2001 by Barclay. It was produced and arranged by Steve Hillage, and recorded during a concert at L'Ancienne Belgique in Brussels, March 11, 2001. Made in Medina is a studio album by French-Algerian raï artist Rachid Taha, released in 2000 by Barclay Records and produced and arranged by Steve Hillage. Five of the songs were subsequently featured in Taha's live album. 1, 2, 3 Soleils is a live album performed by Algerian artists Rachid Taha, Khaled and Faudel, widely hailed as the three masters of raï music. The concert, a unique event, took place in 1998 in Palais Omnisports de Paris-Bercy in Paris, and the songs consisted of the most famous from all three artists plus a few Algerian classics. All 23 were divided into two discs, produced and arranged by Steve Hillage, released by Barclay in 1999. Carte Blanche is a compilation album by Algerian raï artist Rachid Taha, consisting of songs he recorded with Mohammed Amini, Mokthar Amini and Jérôme Savy when they formed a band called Carte de Séjour, along with songs from his more recent solo albums. It was released in 1997 by Barclay, and produced by Steve Hillage. "Abdel Kader" is an Algerian traditional song made famous by the Algerian raï artist Khaled. It is about the Emir `Abd al-Qādir al-Jazā'irī, a famous Algerian Muslim religious leader and freedom fighter who resisted the French conquest of Algeria. It is featured on his 1993 studio album N'ssi N'ssi. After his 1993 original album version, Khaled released a solo live version of "Abdel Kader" in his live album Hafla in 1998. Diwân 2 is the seventh studio album by French–Algerian Raï singer Rachid Taha. It was released by Wrasse Records on 16 October 2006. The album is a follow-up to Diwân (1998) and primarily features cover versions of songs recorded by Blaoui Houari and Mohamed Mazouni. "Ya Rayah" is an Algerian chaâbi song written and performed in 1973 by Dahmane El Harrachi. Up until the past 15 years this song was known to be Dahman El Harrachi's original song and in the Chaâbi/Andalous tradition of Algiers. This song is a ballad of the traveler, the exiled, the longing to come back, the immigrant, the "wanderin' star", etc. hence its universal appeal. The Definitive Collection is a compilation album by raï singer Rachid Taha. It was released by Wrasse Records in 2007. The album's initial release was limited to 2000 copies, which were accompanied by a DVD that documented Taha's return to Algeria. The album was released in the U.S. in 2008 under the title Rock el Casbah: The Best of Rachid Taha. Bonjour is the eighth studio album by French–Algerian singer Rachid Taha. It was released by Wrasse Records on 26 October 2009. Khaled Hadj Ibrahim, better known by his mononym Khaled, is an Algerian musician, singer and songwriter born in Oran, Algeria. He began recording in his early teens under the name Cheb Khaled, and has become the most internationally famous Algerian singer in the Arab world and across many continents. His popularity has earned him the unofficial title "King of Raï". His most famous songs are "Didi", "Aïcha" and "C'est la vie" as well as "Alech Taadi", which was prominently featured in the film The Fifth Element. Zoom is the ninth and final studio album by French–Algerian singer Rachid Taha. It was released by Wrasse Records on 2 April 2013. It was produced by guitarist Justin Adams, with featured guests Mick Jones and Brian Eno. Jones also toured with Rachid Taha as part of the Zoom project. Rachid Taha is the second solo album by Rachid Taha after he left the group Carte de Séjour. It was produced by Steve Hillage and Justin Robertson; and was first released in 1993. Rock N Raï is a compilation album of songs by raï singer Rachid Taha and was first released in 2008 by Shock Records under licence from Barclay Records. 1 2 3 4 5 6 7 8 Jon Pareles (7 July 2008). "Algerian Singer Mixes Rock and Rai". The New York Times. Retrieved 4 June 2011. ↑ Al-Taee, Nasser (Spring 2003). "Running with the Rebels: Politics, Identity, and Sexual Narrative in Algerian Rai" (PDF). Echo. 5 (1). Archived from the original (PDF) on 15 September 2018. Retrieved 18 October 2014. 1 2 3 4 5 6 7 8 9 10 11 12 13 14 15 16 17 18 19 20 Robin Denselow (28 May 2001). "Nuclear fusion: Rachid Taha mixes rock and techno with Algerian street music – and the results are so good, he's already been banned from French radio". The Guardian. London. Retrieved 4 June 2011. 1 2 3 4 5 6 7 8 9 10 11 12 13 14 15 Jody rosen (13 March 2005). "MUSIC; Shock the Casbah, Rock the French (And Vice Versa)". The New York Times. Retrieved 4 June 2011. 1 2 3 4 5 6 7 8 9 10 11 12 Philip brasor (12 September 2001). "HIGH NOTES: Rachid Taha". Japan Times. Retrieved 4 June 2011. 1 2 3 4 5 6 CanWest MediaWorks Publications (8 July 2007). "A rock'n'rai finale". The Montreal Gazette. Archived from the original on 10 November 2012. Retrieved 4 June 2011. ↑ Curiel, Jonathan. "Arab rocker Rachid Taha's music fueled by politics, punk attitude and – what else? – romance". San Francisco Chronicle . 27 June 2005. Retrieved 14 March 2013. ↑ Morgan, Andy. "Can Rachid Taha rock the Casbah?". The Independent . 6 November 2009. Retrieved 8 November 2009. 1 2 3 4 5 Robin Denselow (22 November 2007). "Rachid Taha: Tékitoi (2004)". The Guardian. London. Retrieved 4 June 2011. 1 2 3 John Lewis (30 March 2007). "Paris calling: Rachid Taha was just one of the musicians inspired by the Clash's visit to Paris in 1981. John Lewis explores the band's enduring influence in France". The Guardian. London. Retrieved 4 June 2011. ↑ "Corrections". The New York Times. 20 March 2005. Retrieved 4 June 2011. A front-page index entry last Sunday for an article about the singer Rachid Taha misstated his nationality. He is Algerian, as the article said, not Egyptian. ↑ "Rachid Taha: Tekitoi? (Wrasse)". The Observer. London. 19 September 2004. Retrieved 4 June 2011. The rocking title track is street slang for 'Who The Hell Are You?' and if Taha could work that one out he could be huge. Echoes of Joe Strummer, Khaled and Manu Chao – and promise aplenty. ↑ "Rachid Taha – "Rock El Casbah" feat. Mick Jones". YouTube. 2012. Retrieved 8 November 2014. ↑ "Rachid Taha – Rock El Casbah feat. Mick Jones & Brian Eno – live at Stop the War concert". YouTube. 27 November 2005. Retrieved 8 November 2014. ↑ "The OMM top 50 covers". The Guardian. London. 2004. Retrieved 4 June 2011. 32 Rachid Taha – "Rock el Casbah" (2004) (orig. The Clash, 1982) – An Algerian rai rebel reclaiming the Clash's potshot at Arab nations who ban Western music is irresistible. ↑ "Africa in pictures: 24–30 June". BBC News. 30 June 2006. Retrieved 4 June 2011. A Moroccan girl is entranced by the music of Franco-Algerian singer Rachid Taha during his performance at the Essaouira world music festival over the weekend in Morocco. ↑ Robin Denselow (25 October 2008). "Africa Express/Africa Now". The Guardian. London. Retrieved 4 June 2011. The lineup read like a Who's Who of west African music ... and the wild Algerian punk fan Rachid Taha. ... Africa Express, a movement that set out to present African and western musicians on an equal footing, in angry response to the lack of Africans at Bob Geldof's Live 8. ↑ CanWest MediaWorks Publications (3 January 2008). "Jean Leclerc, Malajube, Rachid Taha. ... Know their music?". The Gazette (Montreal). Archived from the original on 10 November 2012. Retrieved 4 June 2011. the great Rachid Taha, a hero in Montreal, still has difficulty getting airplay in France. Yet modern French-language music manages to be aesthetically competitive with anglo-American and global infusions. Anomalies run rampant. ↑ Robin Denselow (26 September 2008). "Collaboration with every nation". The Guardian. London. Retrieved 4 June 2011. But Fela's sons Femi and Seun will certainly be present ... Rachid Taha. 1 2 Dwight garner (23 January 2008). "Living with Music: A Playlist by David Rothenberg". The New York Times. Retrieved 4 June 2011. ... I saw Rachid play the Astoria in London with Brian Eno in an anti-war concert a few years ago. 1 2 3 4 Robin Denselow (30 October 2009). "Rachid Taha: Bonjour". The Guardian. London. Retrieved 4 June 2011. ↑ "Rachid Taha". cbc (Canadian news). 12 June 2010. Retrieved 4 June 2011. Reuben Maan is a huge fan of the Algerian musician Rachid Taha. Reuben shared his enthusiasm when he joined Mary to talk about Taha, who's come to Toronto to play a concert today (June 12) at 4 p.m. at Queen's Park North as part of the city's Luminato festivities. ↑ "Rachid Taha, 'Zoom'". Rolling Stone . Retrieved 11 April 2014. ↑ "Trans Musicales de Rennes 2012 : 12 concerts à ne pas louper". FranceTVinfo – Culturebox. 4 December 2012. Retrieved 8 November 2014. ↑ John Lewis (26 June 2013). "Rachid Taha/Souad Massi – review (Barbican, London)". The Guardian. Retrieved 12 November 2014. ↑ "Rachid Taha – Voilà, Voilà feat. Agnès b., Femi Kuti, Mick Jones, Christian Olivier, Eric Cantona, Camélia Jordana, Oxmo Puccino, Rachida Brachni, Sonia Rolland, Rodolphe Burger (Official video clip)". rachidtahaofficial.com. 2012. Archived from the original on 21 December 2013. Retrieved 8 November 2014. ↑ "Rachid Taha – Now or Never feat. Jeanne Added (Official video clip)". YouTube. 2013. Retrieved 20 May 2014. ↑ "Algerian singer Rachid Taha dies at 59". BBC News. 12 September 2018. Retrieved 12 September 2018. ↑ "GC 2008 – Far Cry 2". play3.de (in German). 21 August 2008. Retrieved 12 September 2018. ↑ "Eclectic International Soundtrack Backs 'Charlie'". Billboard. Retrieved 12 September 2018. ↑ "Blood and Chocolate - Songs and soundtrack music from the film". Blood and Chocolate Film Official Website. Retrieved 12 September 2018. ↑ Amobe Mevegue (27 October 2009). "Culture: Music news with Amobe Mevegue". France 24. Retrieved 4 June 2011. In this edition, our music critic Amobe Mevegue talks about eclectic artists who perform worldwide. He starts with Moby, Rachid Taha and Papa Wemba. ↑ "Rachid Taha souffrait de la maladie d'Arnold Chiari : Courage et dignité | El Watan" (in French). 13 September 2018. ↑ "Rachid Taha obituary". The Guardian . Retrieved 16 September 2018. Plastino, Goffredo (2003). Mediterranean Mosaic: Popular Music and Global Sounds. Routledge. ISBN 0-415-93656-X.